The Nice Carnival is the most important in France and one of the most famous the world over. It takes place every year during the month of February and is one of the most popuar events on the French Riviera, attracting each year hundreds of thousands of spectators. 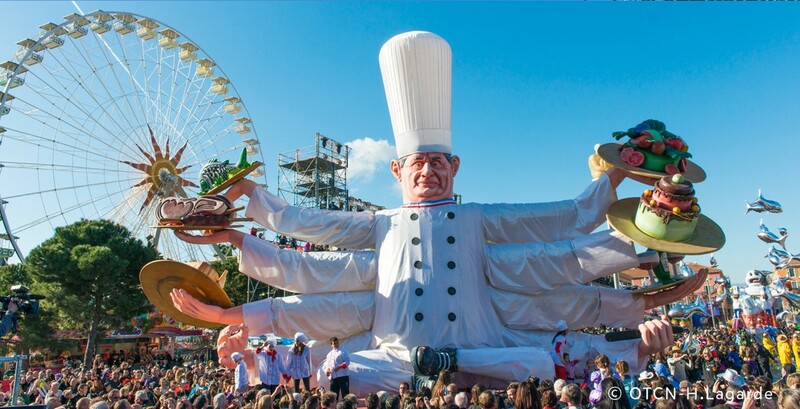 From 16th February to 2nd March 2019, no less than 11 official events will take place around the place Masséna and the Albert 1er gardens. This year it will be the King of Cinema’s turn to be at the centre of this unmissable event. Nice will celebrate in 2019 the 100th anniversary of the Victorine Studios, the Mecca of the film industry on the Côte d’Azur, which since 1919 has welcomed Marcel Carné, Roger Vadim, François Truffaut, Jean Cocteau, Jacques Demy, Alfred Hitchcock, Woody Allen and many other talented directors. 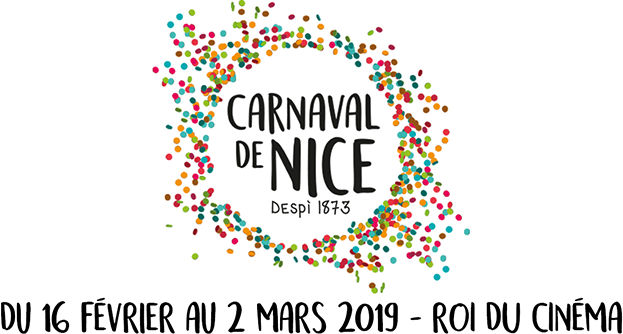 The Nice Carnival is 6 carnival parades, by day or by night, made up of 17 floats and more than 1000 dancers and musicians from all over the world to make you live this authentic and magical event! And what would the Nice Carnival be without its traditional flower parades or “battles”? On flower decorated floats, come and admire the models with their extravagant costumes on the year’s theme and get ready to receive a constellation of varied flowers. 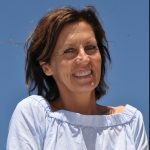 The operation, supported by the City of Nice, is intended to financially help young students wishing to access training in the catering trade, including through the Lycée Paul Augier or the apprentice training center. 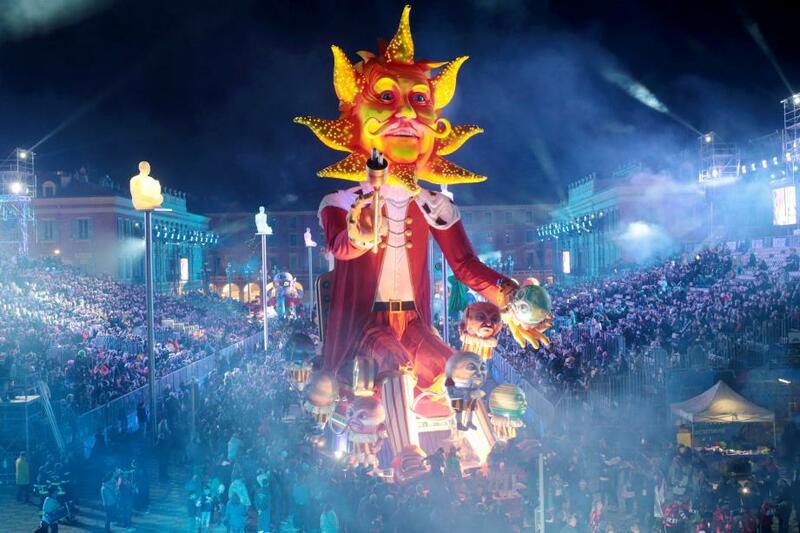 On the Place Masséna, the visual animations are diffused on big screens … In the evening, all the floats are illuminated, the corso illuminates then the heart of Nice. Rates : 26€ in reserved seating / 12€ entrance (Zone A)/ 5€ entrance (Zone B). Possibility of package 2 events in the stands – excluding Saturday (1 flower parade + 1 carnival parade). Rates : 26€ in reserved seating / 12€ entrance (Zone B). Possibility of package 2 events in the stands – excluding Saturday (1 flower parade + 1 carnival parade). Le Carnival Parade is made up of 18 floats designed on the year’s theme and other figurines in a colourful parade with dazzling colours, with the participation of street theatre and music groups from all over the world. Rates : 21€ in reserved seating / 12€ entrance (Zone A)/ 5€ entrance (Zone B). Possibility of package 2 events in the stands – excluding Saturday (1 flower parade + 1 carnival parade).